Having a better home for a senior loved one who needs Senior Care Services simply shows how much you really love and care for them for putting their welfare into consideration, even when you live away from them. After all, love truly begins at home. 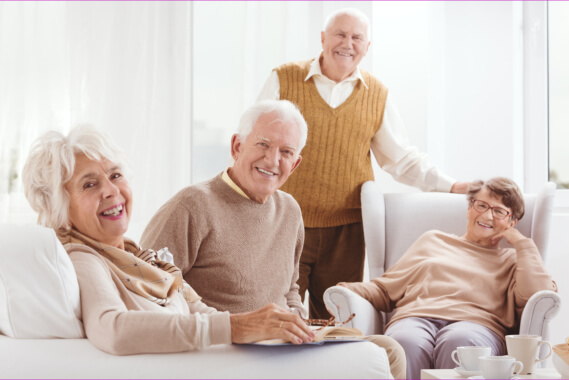 In order to create a suitable living environment for your senior loved ones, here are some things you can do at home to prepare your loved one for our caregiving services so you can continue to extend your love and care for them. If getting ergonomic furniture is out of the question, just refashion available furniture at home by propping up a pillow on a couch to make it more comfortable for a senior. This helps support their backs when they sit down on any couch since the pillow will scoop up the curve of their spines. If needed, have an ottoman handy so they can easily elevate their feet when needed. On top of maintaining a clean and safe home, we can also help your senior loved ones have a functional home by moving hard to reach items to a lower shelf so they can safely reach for items without pulling a muscle. Another way of having a functional home is by removing unnecessary furniture that only takes up space and requires a senior to go around that piece of furniture. Together with our In Home Elderly Care in Georgia, we can make a better home for your aging loved one by keeping it safe, clean, and functional at all times. Help make a better home for your senior loved one by contacting Abundant Life Assisted Services today. This entry was posted in Senior Care and tagged Better Home, caregivers, Home Care, safe home. Bookmark the permalink.